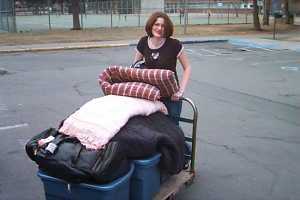 Her dormitory hall-mate said it best as we wheeled this cart towards the elevator: "Oh! Are you moving out?!" "Nope, just a few things I can't live without over break...."